Temperatures may flirt with the 70 degree mark through this coming weekend, forecasters said, with the possibility that warmer-than-normal temperatures will continue through Jan. 1. 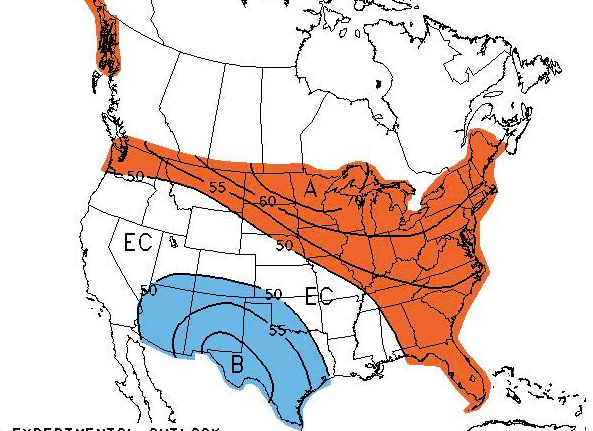 The National Weather Service office in Mount Holly released an experimental 3-4 week outlook this week, detailing the warming trend that will continue to envelope the east coast and portions of the midwest. “The forecast continues to favor warmer than normal temperatures for the holidays,” the agency said. Precipitation levels are forecast to be about normal during the same time period. Forecasters are attributing the unseasonably warm temperatures to the El Nino phenomenon in the Pacific Ocean, which is pushing the jet stream farther north than usual, allowing warm air from the south to reach more northerly regions. New Jersey had its warmest November on record with a statewide temperature of 49.7 degrees, 6.6 degrees above average, NWS data showed. According to AccuWeather, Friday’s high will reach 65 degrees, with a repeat on Saturday. On Sunday, the high temperature will be 67 degrees before falling back to 65 on Monday, when the Shore area could see some rain.